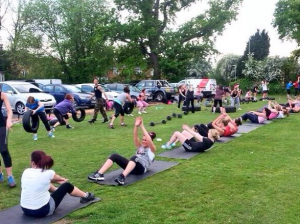 Times have changed and almost every instructor says they offer a bootcamp class. Here at Motiv8 Exercise and Fitness the exercises given are aimed at utilising multiple muscle groups in a single fitness session and sometimes even in a single exercise. 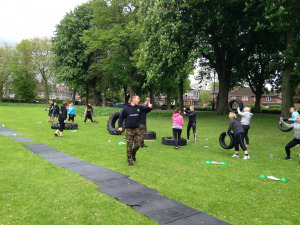 Military style bootcamp exercises can be done using your own body weight or using kit such as tyres, weights, logs, slam bags etc. These types of exercises are aimed at working and strengthening the full body thereby improving fitness, functionality and mobility; and helping prevent injuries in later life. Details about Bootcamp Classes can be found under “Times and Prices” or by downloading our app.